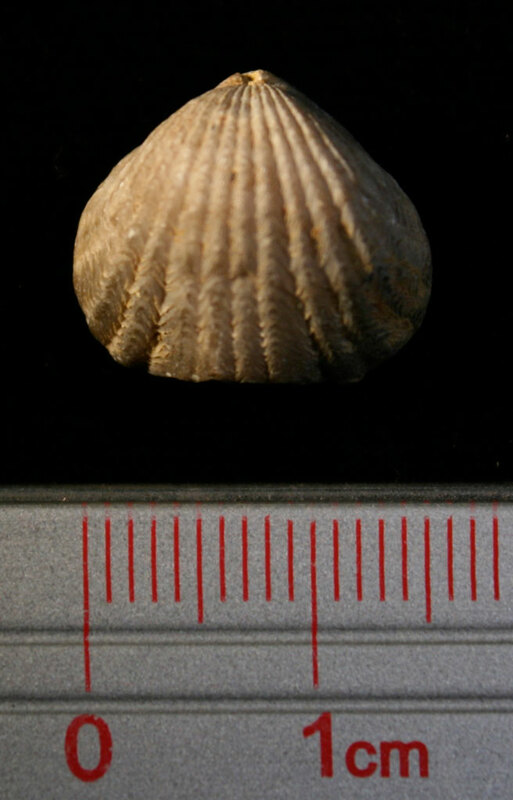 This fossil bachiopod appears to be either a Hiscobeccus capax and Lepidocyclus perlamellosus. 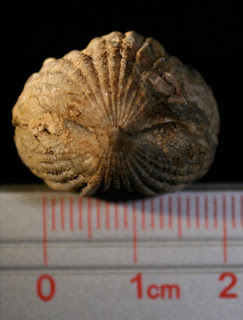 The book Cincinnati Fossils An Elementary Guide to the Ordovician Rocks and Fossils of the Cincinnati, Ohio, Region edited by R.A. Davis (Cincinnati Museum Center, 1998) on page 49 lists the Hiscobeccus as an "Articulate brachiopod. 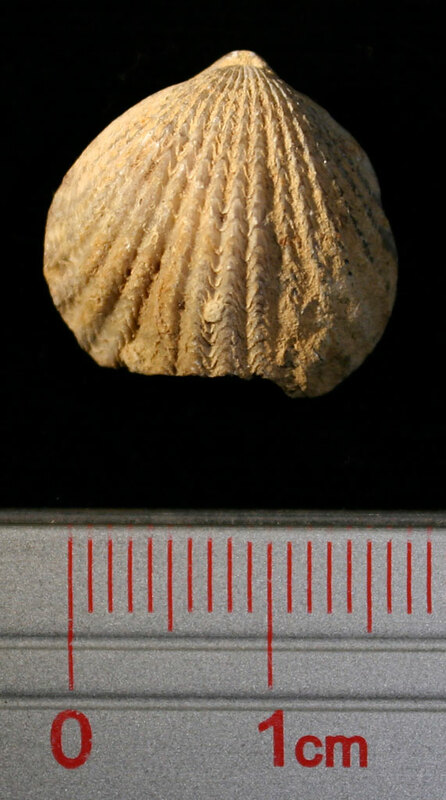 Note the three major plications in the sulcus, the rounded beak, and the growth-lines, crossing the plications." 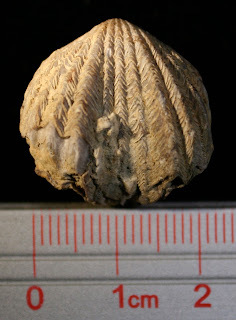 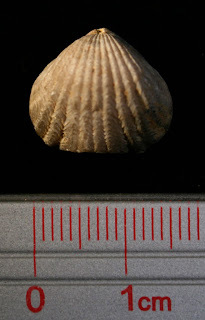 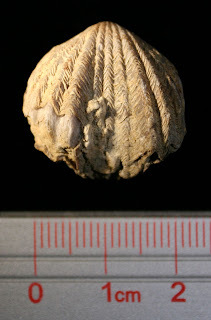 and the Lepidocyclus perlamellosus as "Differs from the previous species in characteristics of the shell interior, but it tends to be larger than the previous species and to larger than the previous species and to have more distinct growth-lines." Brachiopds are found in the Richmondian stage and this fossil was found in Jefferson County, Kentucky, USA.